Call Now Book Your Pest Control Service & Save! We are experts in all areas of pest management and offer a full 12-month warranty on our services. Our pest extermination services are fully Guaranteed. So if those pests come back So Do We! 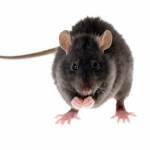 With over 20 years of experience in the pest industry, We Know Pests! We use products that are safe for the whole family & your pets. We offer a safe & reliable service for Residential & Commercial customers. We Know Where Pests Hide. Pre-Inspection To Find Problem Areas. Only The Best Products Used. Family & Pet Safe Products. Friendly Professional Service & Advice. 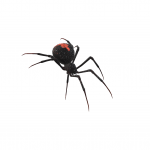 Our general pest control treatments are covered with our 100% guarantee. Our warranty is for 12 months giving our customers peace of mind knowing that if the pests come back, so do we. We use a number of different methods to help get rid of pests from the home or office and our products are safe for the whole family and all pets. We treat all rooms and roof voids to help gain full control of any pest problems, we also treat sub-floor areas where necessary. Pests such as spiders, cockroaches, rats and mice will all make their home in roof voids and sub-floors this is why these areas are important to treat during a pest extermination service. We are fully licenced and insured this gives our customers the assurance that the jobs done right the first time.